A Maven is "one who understands", based on an accumulation of knowledge. This is me. Knowledge seeker, researcher, attempting to understand our world, my life, and the journey. These are my musings. / / / / / / / / / / / woman . mama . daughter . kids . family . natural living . parenting . organic . jill of all trades . army . technology . food . wine . margaritas . travel . real estate . literature . education . biology . energy . essential oils . spirituality . consciousness . The benefits to consuming Elderberry Syrup are numerous, and you can read all about them on other blogs or here. The 2017/2018 cold and flu season is especially harsh, and the current flu shot being only 10% effective, many people are looking towards alternatives to boost their immune systems and fight the germs plaguing their system. This is why Elderberry and Essential Oils are a match made in heaven! Essential Oils have many health benefits to support wellness and we can take advantage of these myriad benefits by adding them to our homemade Elderberry Syrup. I'm a big believer in packing a punch in whatever I do. I load my smoothies up with as many nutrients as I can. Have you ever heard of bulletproof coffee? You can make your coffee a nutritious beverage! So let's take the same concept and do that with our homemade Elderberry Syrup. 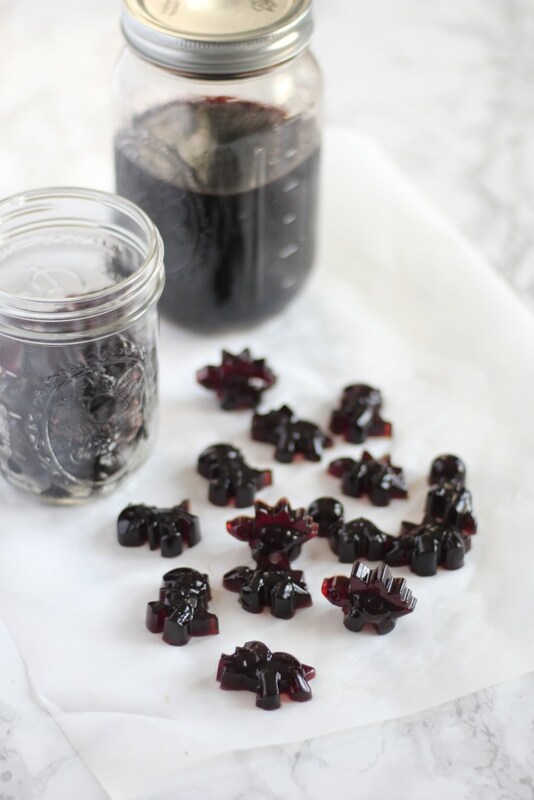 I prefer to use the Instant Pot when making my Elderberry Syrup. There is much information that pressure cooking helps to extract the nutrients more effectively. And, let's be honest, if you are a mom reading this article and you don't have an Instant Pot, then you better get yerself one stat! You can do the same recipe below on the stove top, but you'll want to simmer for about 45 minutes or longer to cook the syrup and reduce the liquid. A note about quality ingredients: To ensure the most potent, powerful and effective syrup, it is important to use the highest quality, trusted ingredients. Elderberries should be organically grown, or even better, obtained from a grower where you know the source and how they were grown, but that isn't always possible with Elderberries, I've found. Honey should be made by local-to-you bees and unprocessed (raw). 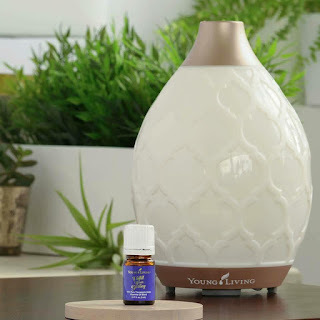 Essential Oils must be approved for internal use and from an extremely reputable source. As such, I can only recommend and stand behind Essential Oils from Young Living. The vast majority of Essential Oils on the market are aromatherapy grade only! 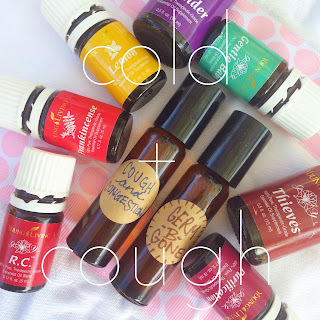 Do not ingest these oils! If you don't have a friend who is a Young Living distributor, I'm happy to be your friend and help you order these high grade oils. PLEASE do not buy from Amazon or other third party resellers. 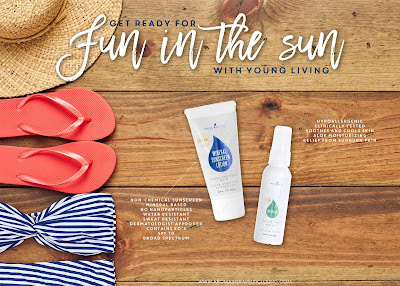 For one, you cannot trust these to be truly Young Living oils, and for another, Young Living is a referral based business and by choosing to buy with your friendly distributor you are supporting a fellow mama in her home based business. 2. Set IP to 12 Minutes, Manual. 4. Mash berries with a potato masher an strain through a fine mesh strainer. Let liquid cool to close to room temperature then add honey and Essential Oils. You want to make sure the liquid has cooled to at least 118F to preserve the enzymes in the raw honey and the therapeutic properties of the Essential Oils. Store in a jar in the refrigerator for up to a few weeks. Standard dose is 1 TSP for kids and 1 TBSP for adults each serving. If the flu strikes, take the normal does up to every 2-3 hours until symptoms resolve. For longer storage place in ice cube trays and freeze for later use. UPDATE: My most recent batch I added about 3 TBSP of this super enriched raw honey and I will definitely be including this in my future batches!! Another alternative to help get these amazing nutrients in your kiddos' bellies is to make Elderberry gummies. I like to make a batch at the same time I make the syrup, because you need the syrup to be warm and this prevents you from having to heat up the syrup again, preserving the precious therapeutic qualities. 1. 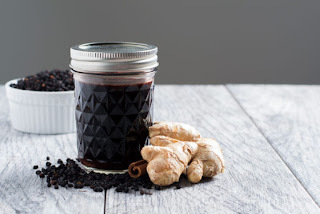 Warm Elderberry Syrup (do not boil! ), slowly add gelatin while you whisk to combine until fully dissolved. 2. 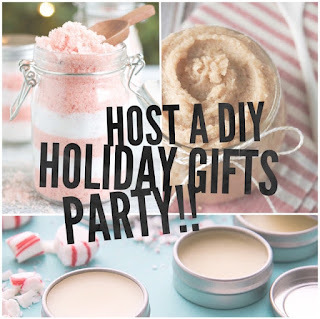 Spray molds with coconut oil (I love the spray from Trader Joe's!) and using a dropper, add liquid to silicone molds (see below). 3. Put full molds in refrigerator for a few hours to overnight, until liquid solidifies into gummies! Store in a glass, airtight container in fridge for up to about 2-3 weeks. See dosage information above. I like these molds for gummie bears, but find I have to eat several for a dose. My favorite are these from Ikea or you can buy them on Amazon here. Host a DIY Holiday Gifts Party! Here’s what I’m making this season, and making it is always more fun with friends. Put epsom salt in one bowl, pink salt in another, divide EOs between each bowl and mix, scoop into layers in jar of choice. Optional - finely grate cocoa butter and sprinkle in the salt for additional moisture. Add everything to stand mixer with paddle attachment and whip on medium for about 2 minutes, or until at desired consistency. Add 1/4 cup of brown sugar and mix on low until just combined. Using a double boiler, melt all ingredients except Vitamin E and EOs over medium heat. I like to use a pint size canning jar in a pot of water, and if you don’t use it all you can save your base for later. When combined, allow to cool a bit and add the Vitamin E and EOs and stir. Using a plastic pipette (or pour carefully from container with spout) transfer to desired container, I prefer pots! If you use tubes, I find the consistency works better by using 2 TBSP of beeswax and eliminating the castor oil. Alternatively, you can add a couple drops of EOs to each lip balm container vs to the main mixture. This works great to allow guests to customize their own lip balm with different EOs. 70!!! They released 70 new products...with MORE to come...at convention this year!! WOW!!! There are so many I decided to do a separate write up here so you can easily see them all in one location. Another brand new line of amazingness is the Seedlings line designed specifically for helping you care for your baby. Made with safe, naturally-derived ingredients and essential oils, the Seedlings line of products give you options to care for your baby with complete confidence. There are baby wipes, baby lotion, baby oil, baby wash & shampoo, and diaper rash cream. 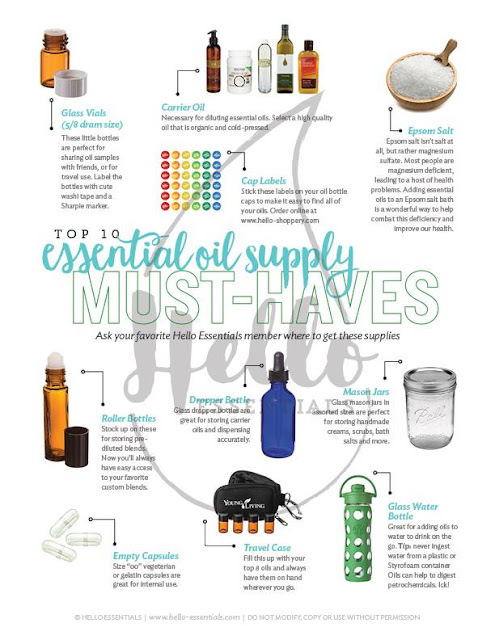 Essentials needed in caring for your baby and all created by Young Living, the company that we know takes the time and care needed to provide the absolute best in everything they make for our family’s health and wellness. The SEEDLINGS BUNDLE is available ONLY at convention, or through the convention ordering link for 24 hours (ends JUNE 17, 2017 at 11PM PST!!!!). Login here to ORDER TODAY!!!! 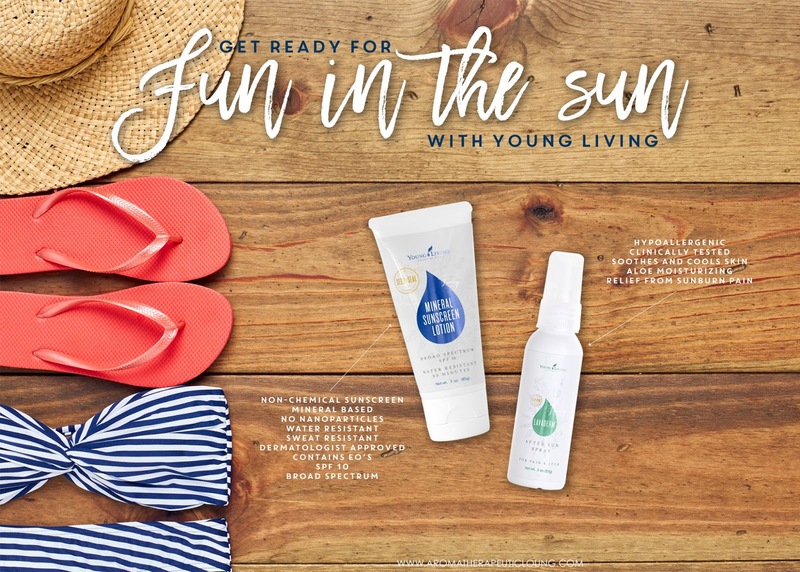 The rest of these products are available on the above link TODAY (June 17) or through your Young Living Account on Monday, June 19th. Quick Order only, you can add to Essential Rewards starting July 1st!!! A mild, gentle formula lightly scented with essential oils and made with naturally-derived ingredients designed specifically for a baby’s delicate skin, leaving it moisturized, soft, and smooth. Dermatologist tested and hypoallergenic, this baby oil contains essential oils that are diluted specifically for use on a baby’s delicate skin to provide a soothing aroma and moisturize. This tear free, extra gentle formula leaves skin and hair clean and soft. It helps smooth hair and makes tangles easier to comb out. Created without sulfates, chlorine, parabens, and other harsh chemicals found in regular baby wipes, Seedlings Baby Wipes has a mild, gentle formula that is both soothing and non-drying to skin. This thick, Lavender scented cream soothes on contact and provides instant relief and reduces redness. It rubs in smoothly and gently and protects the skin, acting as a natural barrier to wetness. - Intermittent Mode (1 minute on/1 minute off) runs approximately 10 hours. It has 11 (yes you read that right, 11) different light settings that are controlled independent from the diffuser function, including a romantic candle-like flicker mode and a light cycle mode that gently transitions through each color setting. Its unique design and function will be a great fit with the décor of your home. This blend of Tangerine, Frankincense, Nutmeg, Cassia, Cardamom, Clary Sage, Black Pepper, Idaho Blue Spruce, and Neroli essential oils has an empowering, uplifting fragrance that encourages professional confidence and drive. It can also be added to your nightly skin care routine to help smooth and support healthy looking skin. This blend was designed specifically for the 2017 Convention with the goal of helping empower you to fulfill your destiny. 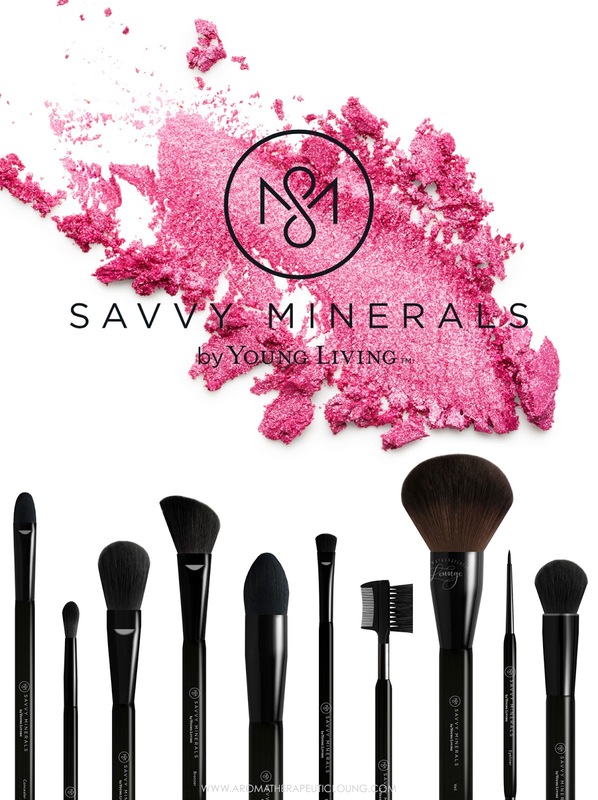 This new Savvy Minerals cosmetics line from Young Living gives us all an option to feel confident that what we’re using on our faces is completely safe. 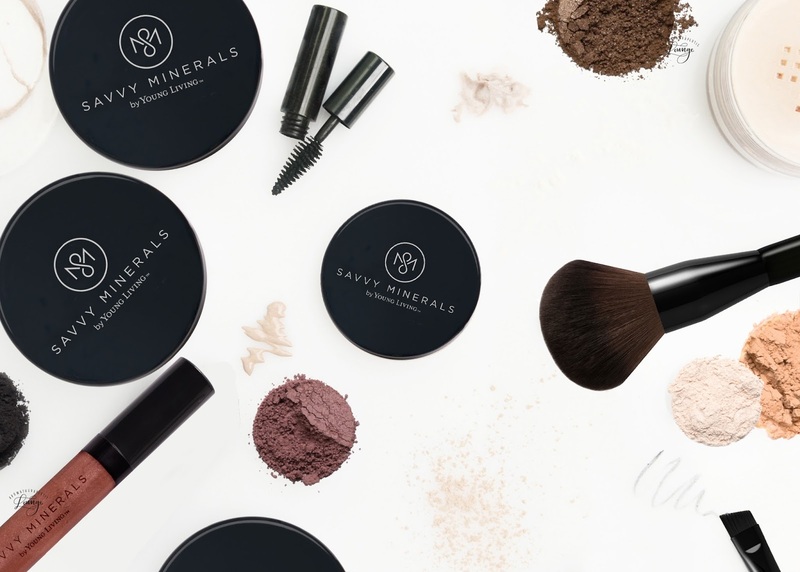 Savvy Minerals cosmetics are pigmented with naturally derived minerals that meet Young Living’s superior ingredient standards and provide vibrant, gorgeous colors. The mineral powders are talc and bismuth free (inexpensive fillers that can damage skin that are used by most mineral makeup brands), and are made of a finely ground mica base, resulting in smooth, flawless application. Young Living took the time and care to make sure that this all turned out perfectly, so we could be the women we want to be without worry. There are a lot of products in this line, so I’m going to list them all with their information, but if I did a write up on each individual one we’d probably be here until next convention. ;)There’s foundation, lip gloss, lipstick, eyeliner, eyeshadow, a misting spray, a multi-tasker, bronzer, and blush. Let’s look at all the glorious options. You guys. It’s here. We finally have an insect repellent that we can call INSECT REPELLENT! It’s a 100% plant-based formula, DEET free, Hypoallergenic, clinically tested for efficacy against mosquitoes, and proven to be 30% more effective than top-selling natural insect repellents. Plus, the formulation includes Citronella, Lemongrass, Rosemary, Geranium, Spearmint, Thyme, and Clove essential oils. And talk about perfect timing! Seriously, this is so exciting. NOTE: As of right now, the Insect Repellent cannot be shipped to the following states: Alaska, California, Connecticut, Washington D.C. (not a state, I know), Indiana, Maine, Nebraska, New Mexico, Rhode Island, and South Dakota. Once or if these states get approval, then members from those states will be allowed to order it and have it shipped to them in their state. If we get updates, I'll let you know. And speaking of exciting, this new Mineral Sunscreen is just in time for summer! This dermatologist approved, mineral based sunscreen is sweat proof, water resistant, and contains essential oils. It is SPF 10, broad spectrum, and not filled with the harsh chemicals of conventional sunscreen. It is water resistant up to 80 minutes, so you and your family can splash around safely and confidently without having to reapply every few minutes. Stay out a little too long in the sun without your new Mineral Sunscreen? Don’t worry, LavaDerm After-Sun Spray has your back. It soothes and cools skins, leaving it feeling soft and smooth and provides immediate relief. 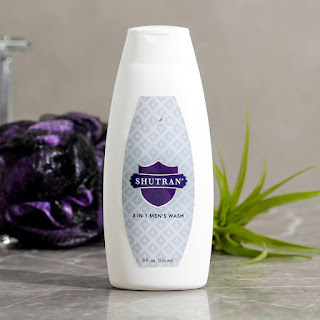 It is hypoallergenic, dermatologist approved, and not only helps after a long day in the sun, but also offers temporary relief from the pain of minor burns, minor cuts, scrapes, insect bites, and minor skin irritations. Infused with natural menthol, aloe, and Lavender, Helichrysum, and Northern Lights Black Spruce essential oils, this is something that every family needs to have on hand so your family can enjoy the outdoors and the effects of being outside knowing that relief is just a spray away. This is the same AlkaLime that we all know and love but is now available in convenient single-serve stick packs! This effervescent supplement, formulated with Lemon and Lime essential oils, organic lemon powder, and biochemical mineral cell salts, starts working quickly to soothe the occasional upset stomach and help support optimal PH balance. AminoWise was developed as an advanced amino acid supplement to help support muscles during and after exercise to help fight fatigue and enhance recovery. 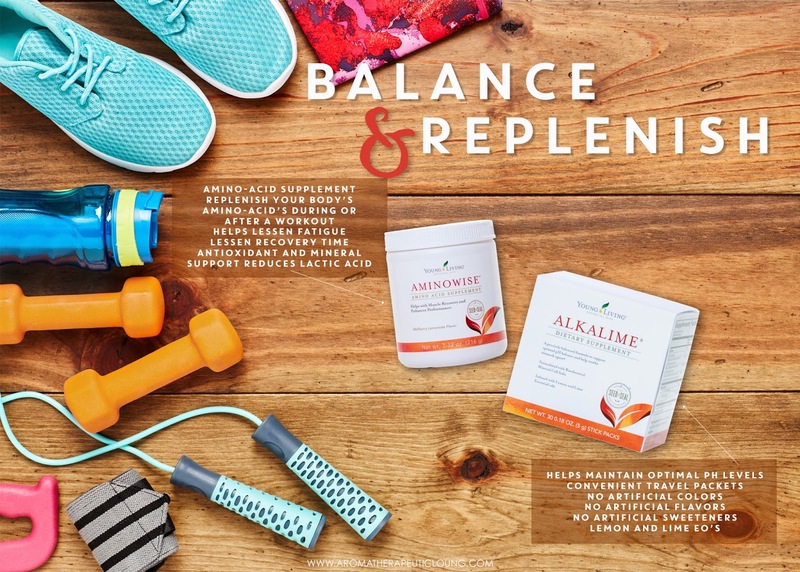 Formulated with wolfberry powder and flavored with Lemon and Lime essential oils, this complex blend of antioxidants and minerals that contains chained amino acids all work together to improve vascular blood flow and aid in preventing muscle catabolism and reduces lactic acid during exercise. This is a must for people who exercise or live an active lifestyle and an excellent addition to Young Living’s stellar supplement line. Super Cal Plus is more than just a calcium supplement, it is a true bone-health supplement with a synergistic blend of bioavailable calcium, magnesium, vitamins D and K, and other trace minerals that support the structure, integrity, and density of bones and teeth. Plus, an adequate intake of Calcium and vitamin D throughout life as part of a well-balanced diet may reduce the risk of osteoporosis. 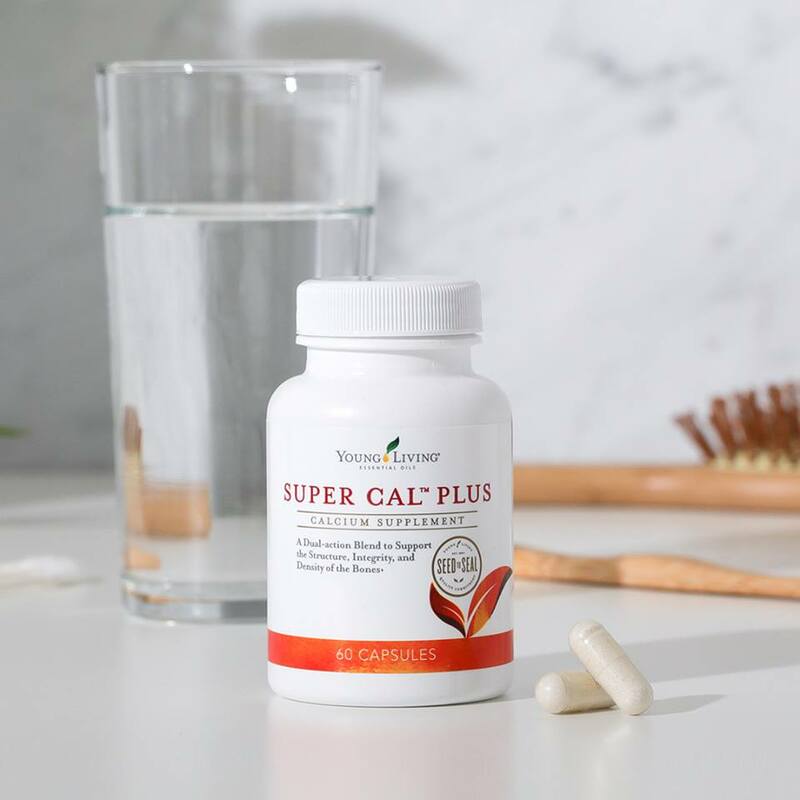 Super Cal Plus is also infused with Idaho Blue Spruce, Black Spruce, Copaiba, Vetiver, and Peppermint essential oils, which helps it go beyond the typical calcium supplement. 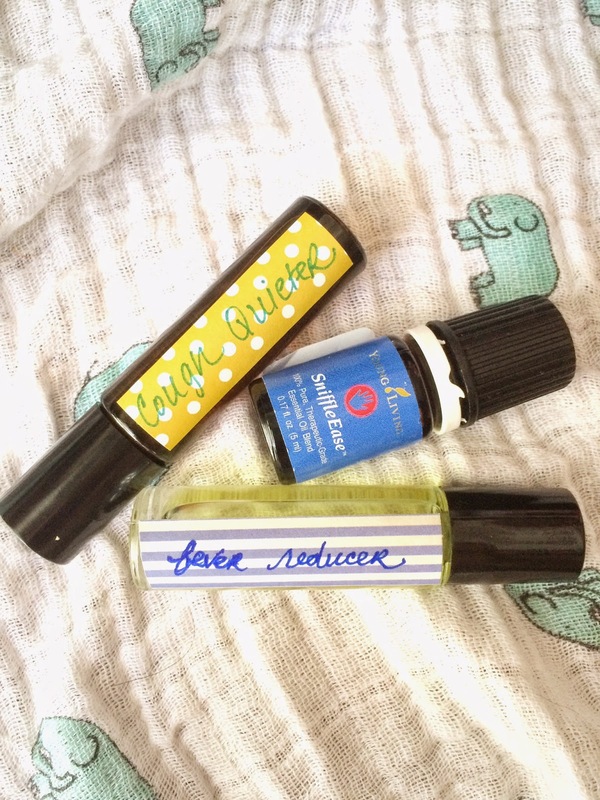 Essential Oil Supplies to Get You Started! These are just some suggested supplies and items that I have found helpful, but feel free to get crafty and put your own look on things. I'm always experimenting and when I find something I like, I'll be sure to add it here! One of the first things I do when I get my kit, is mix up all my "on-the-go" oil rollers. They are also convenient to have around the house for quick, topical application. 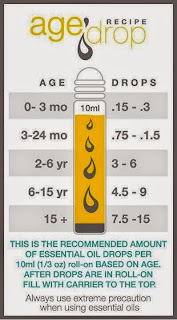 The 10mL bottles will last a long time, but I started noticing the carrier oil begins to go bad after about 6-9 months. I switched to the 5mL or even 3mL now. I also love the 1mL size for handing out samples to my friends!! I also prefer the metal roller balls because the EO tends to glide on easier. You will want to use a "carrier" oil in conjunction with your Essential Oils. These serve to dilute the strength for special populations, such as children and infants, and also help spread the EO out over a larger surface area. My carrier oil of choice is grapeseed because it tends to be lightweight and penetrates quickly. I also like coconut oil for a creamier texture for things like VapoRubs, Muscle Rubs, etc. Sweet Almond is also nice! 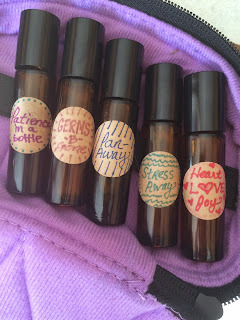 These are great from making room sprays or hand sanitizers. Simply add a splash of witch hazel or alcohol, your EOs of choice and fill with water, and you have your spray! You can make Bug Spray, Thieves Sanitizer Spray, Sleepy Spray, Refresh Spray, Bathroom Spray, the possibilities are endless! 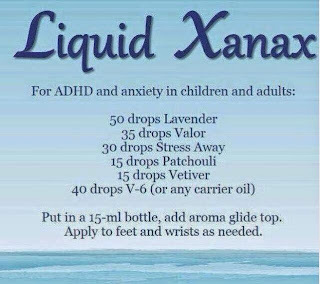 Helpful for premixing, diluted massage oils. My favorite is Gentle Baby and Lavender in Sweet Almond Oil as a foot/leg rub after bath! These are also helpful in making skin serums. Metal Bath Bomb Molds - there are different sizes on Amazon, just make sure to get stainless! You can often get the raw ingredients cheaper locally at Smart & Final or Costco. To obtain the purest Young Living Essential Oils, please refer to your friend who sent you here, as Young Living is a referral based business. 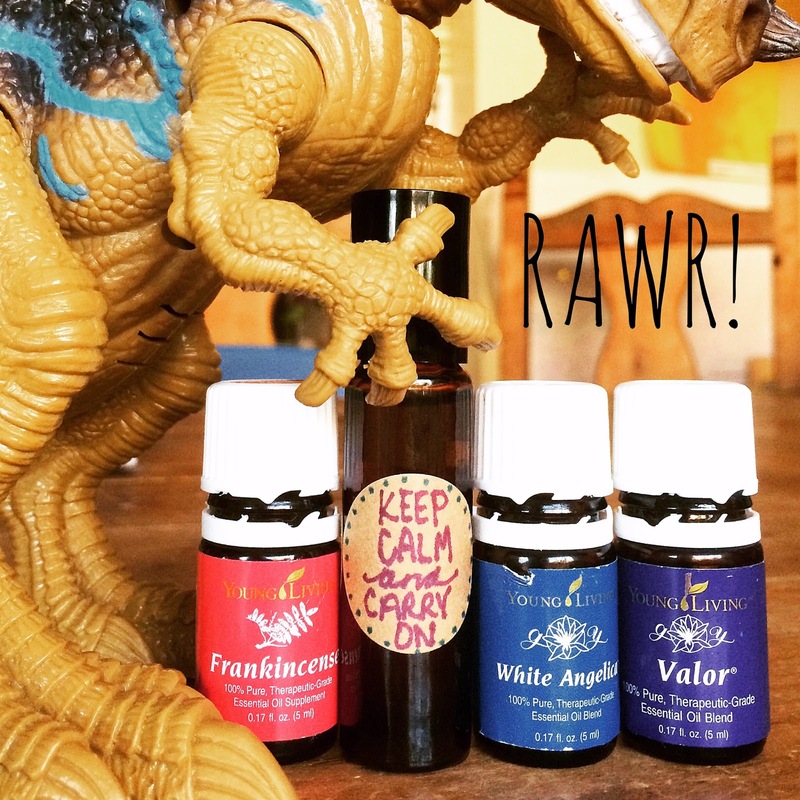 If you came here on your own, I'd be more than happy to help you order your oils! Please visit me at Hello Essentials with Suzanne on Facebook or you can Order Oils via my website. I'm a roller girl. I love my roller bottles. LOVE them. Don't get me wrong, I love me some aromatic diffusing when I'm at home. But, when I'm on the go - and let's face it, us moms are always on the go - I love me some roller bottles! What's that you say? I'm talking about Essential Oils. I'm an oil addict and my oils have become my (and my family's) medicine, my life's prescription, my remedies from nature. Have an ailment? I've got an oil for THAT! I'm sure a lot of people think Essential Oils are just hocus-pocus hippy stuff and a really don't think there is any science behind them. There are many scientific studies evaluating various Essential Oils with good findings, but it can be somewhat problematic as modern medicine tends to apply a reductionist theory, looking to isolate the "active" ingredient. A single essential oil may contain anywhere from 80 to 300 or more different and unique complex chemical constituents, with many of its constituents occurring in minute quantities, but all contributing to the oil's therapeutic effects. Essential Oils are highly concentrated and very potent. For example, it takes approximately 22 pounds of rose petals to distill one 5mL bottle. That's a lot of roses! Essential Oils contain tiny molecules that are lipophilic - what does that mean? 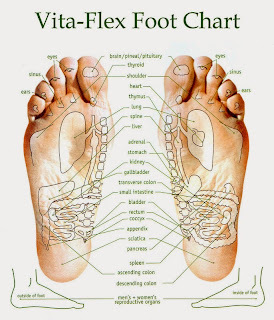 It means these molecules can easily travel into and within our bodies, penetrating our skin, tissue and cells rapidly. This is why it is extremely important to have high quality, therapeutic grade Essential Oils that you know where they came from, how they were grown, extracted, distilled, tested, and bottled. I trust Young Living with their Seed to Seal promise. Now back to my roller bottles. When you apply Essential Oils to the skin, they are directly absorbed into your body for a therapeutic effect. 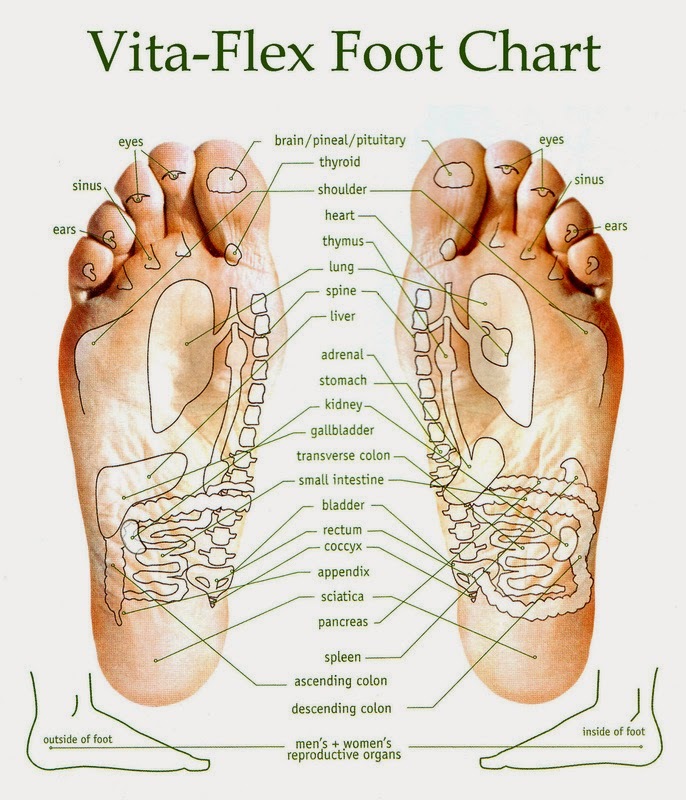 You can apply them to "warm points" near blood flow (wrists, behind ears), near your Central Nervous System (along spine, base of neck), directly to the area (muscle, cut/scrape, stomach) or even to Vita Flex points on your feet, hands and ears. Because Essential Oils can help almost anything and everything, I feel like a modern day apothecary as I mix my roller bottles to help with our various ailments. I've started compiling and collecting "recipes" for combinations that have really helped us and I wanted to share them with you all. Making a roller bottle is really easy. First you need supplies: you'll need a roller bottle (I like the 10mL size, amber glass), a carrier oil (I like grapeseed), labels (washi tape or 1in Kraft round) and high quality Essential Oils, like Young Living. Next, ask yourself who you are making this roller bottle for - is it for an infant or a child? 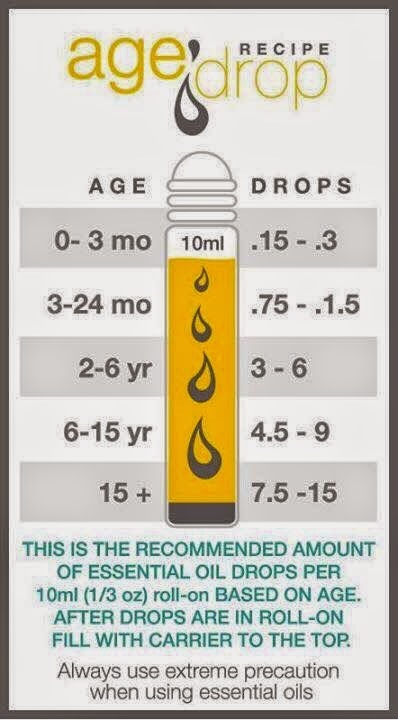 You'll want to use less Essential Oil - probably around 1 - 15 drops of Essential Oil total. 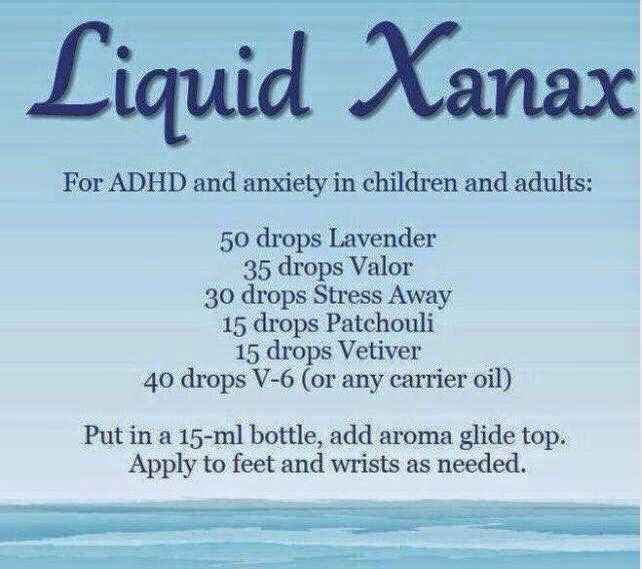 If it's for yourself or another adult, I usually use around 30-60 depending on the blend I'm making. 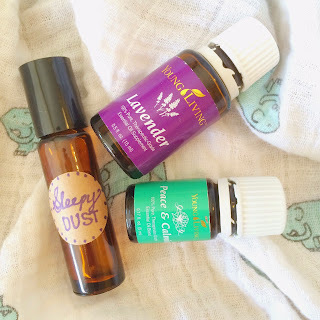 There are some roller bottle recipes with higher concentrations of Essential Oils for a stronger effect. Lastly, let's mix! 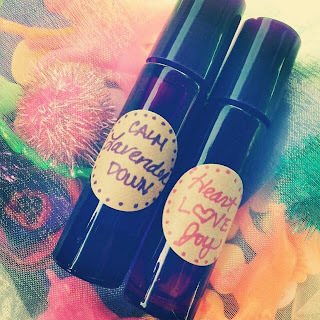 I add the Essential Oil first by counting drops straight from the bottle into the roller. Fill with carrier oil - I like to use plastic pipettes, but you could use a small funnel or just pour very carefully. Snap on the roll top and label your mixture. 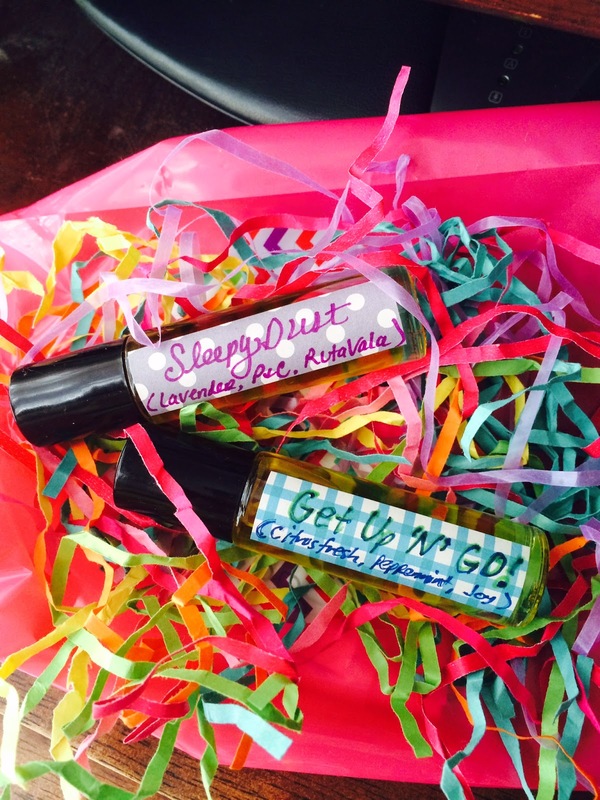 Roller bottles can be made from your favorite single or pre-made blend. 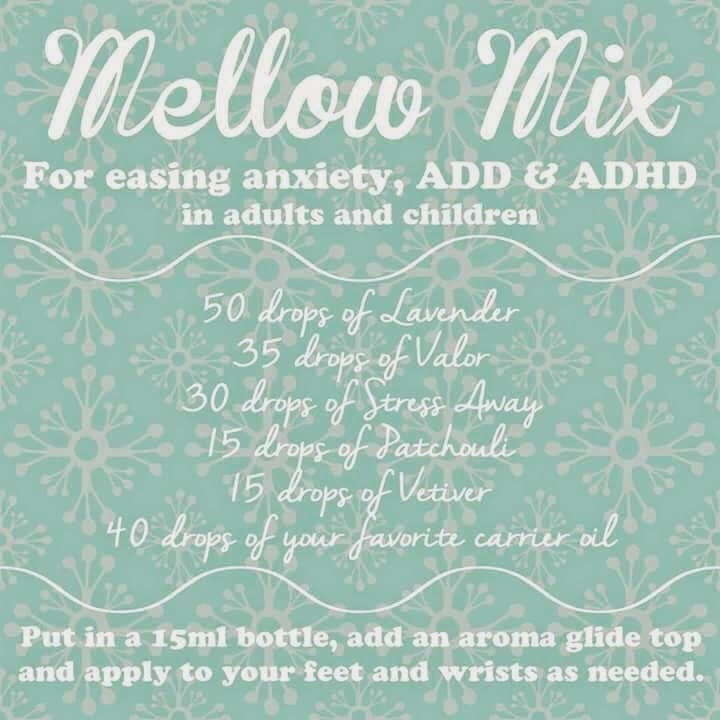 I make one called "JUST Lavender" and that is a great one to always have on hand. Here are some recipes that I use often and that work for us. 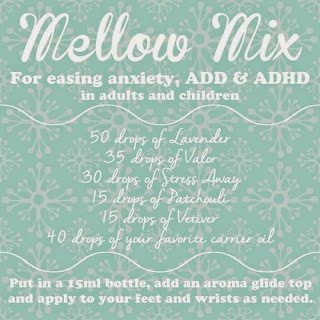 I encourage you to experiment with mixes and blends and see what works for you and your family. Here's a couple more I want to try - I have Vetiver and Patchouli in my next order...can't wait! 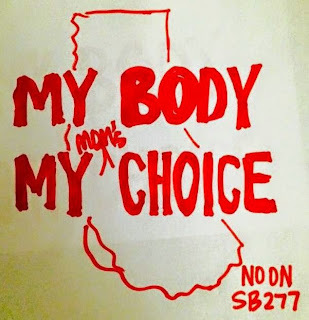 My Body, My Choice? Who does your body REALLY belong to? After reading, this and the subsequent blog post this Pin is from, my mind kept saying, yes, yes, YES! THIS is what the fight against SB277 is all about, and this is exactly WHY I am so passionate about it. My friends and family have seen this passion lately, perhaps leading them to say, "wow, I didn't know she was 'anti-vaccine.' I wonder if her kids are vaccinated. I bet they aren't." Well, that's the thing...I'm not good with labels. If you are really curious what I believe, you can read my blog post here where I talk about "the middle." But, I'll tell you what I DO believe. I believe that no one should be able to force me, my children, or anyone, to have a medical procedure without their/my consent, especially one that is not without risk. Can anyone say that any medical procedure is completely without risk? Let's forget about risk anyway, that is another debate, what we are talking about here is a FORCED medical procedure! I don't care if it is the safest thing on the planet; I don't care if it will save another person's life; I don't care if it will save a million lives - IT IS MY BODY! Does that sound selfish? I don't mean it to. I mean certainly we are selfless people, right? What if you were in a car accident, went to the hospital unconscious, and woke up with a large part of your liver removed. You didn't lose part of your liver because of the car accident. The doctor said it was because there were three other people who needed a transplant, so while you were unconscious, they decided to take part of your liver for those other people. You know, for the greater good. Next you ask why you feel so weak. The nurse says they took 100 liters of your blood while you were unconscious because you have O(-) blood (universal donor) and there were 10 other people who desperately needed some blood. You'll be able to regenerate your blood, and in a few days, be back to normal. It's okay, right? Because, you know, greater good and all. What about the "right to choose"? The abortion debate. Pro-Life. Pro-Choice. So, does Pro-Choice = Pro-Death? No no NO!! It does NOT! Bodily Autonomy is what this debate is/was all about for Pro-Choicers. Women, people, individuals were fighting for their RIGHT to make their own decisions about their own bodies. It was upheld in the Supreme Court, that not even another "fetus, entity, being, life" (debatable definitions) can infringe on another person's right to maintain their own Bodily Autonomy. What about a lifeless body? Someone who is deemed brain dead. Can we harvest this person's organs without their, or next of kin's, consent? NO! But, what about all the good these organs can do? Still, no. NOT without consent. Did you ever see scary movies about medical procedures done without consent in asylums or prisons? This wasn't just in the movies. We used to do some pretty crazy things here in the United States, like lobotomies and sterilizations, before someone finally realized, "Hey, this is not right. We need consent. We can't just violate an individual's right to Bodily Autonomy." Okay, let's get even deeper here. What about the Holocaust? Yup, medical procedures being forced on individuals against their will, certainly without consent. But, Hitler said it was for the greater good. Did that make it okay? Guys, are we seeing a pattern here? Let me say this loud and clear: I am not ANTI-VACCINATION, but I am passionately, and most definitely adamantly, PRO-CHOICE, PRO-MY BODY, MY CHOICE, PRO-CONSENT, PRO-BODILY AUTONOMY. And, lastly, but definitely not least, I am passionately and adamantly OPPOSED to SB277. SB277 aims to FORCE school children to be injected with a multitude of vastly unnecessary (another debate) vaccines in order to attend public or private school, nursery school or day care. Before you say, but but but you can home-school...to that I say, REALLY? Is that REALLY an option? Not for me and not for the majority of families. I am a taxpayer and my children have a right to a public education, which uses taxpayer money, my money. Please, readers, all of you, this is NOT about pro vs anti vaccination, this is about PRO-CHOICE and ANTI-FORCED medical procedure. Plain and simple. Want to increase vaccination rates? Okay, let's figure out it. But, let's not do it by force. And, if you are still in support of SB277, then this post is for you.